Do you know a super reliable and friendly person looking for a part-time job? 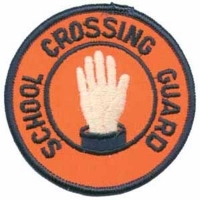 The Town of Oakville is looking for school crossing guards. The shifts are 3 hours at a time and you get to work outside! What's not to love? For job requirements and an application, please visit the Town's website here. What a great way to kick-off 2017!